In an effort to always bring you the best products available we are carrying SFH Pure protein. Quantities are limited and we expect to sell out quickly. This does not mean we will stop carrying any other lines of our supplements at this time – just increasing the diversity of quality products we can provide to the community. Interested in joining a CrossFit gym? 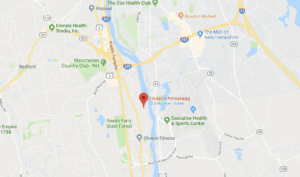 Our Bedford location is one of the best in the Manchester, NH area. Check out how to get started at a Manchester CrossFit gym.